Taxi Driver is a bold film, even by today’s standards. It was a timely film in 1976, both a character study of one mentally unstable man and a larger representation of the times. Travis Bickle (Robert De Niro) represented an entire generation of men, war veterans and social outcasts alike. He is a man plagued by loneliness, but continually making decisions which push him further away from people. His politics are confused, but passionately driven by an undercurrent of violence within him. And as timely as Travis Bickle seemed in 1976, it feels every bit as relevant in today’s social and political climate, 40-years later. 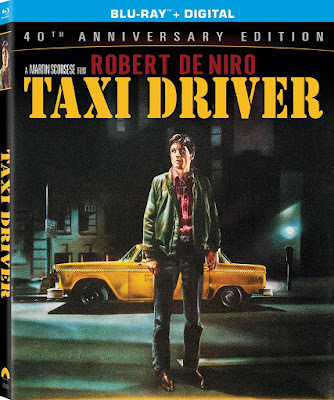 The 40th Anniversary Blu-ray release of Martin Scorsese’s first real masterpiece is highlighted by a number of great new extras, though the film is still the star attraction in its glorious high definition presentation. De Niro gives an immersive performance as Bickle, the unhinged Vietnam veteran working the night shift as a New York City cab driver. Despite his seemingly constant solitude, Bickle isn’t an unfriendly guy. He engages in plenty of casual conversations and even boldly approaches an attractive employee (Cybill Shepherd) of a campaigning politician to ask her for a date. He doesn’t have the social skills to successfully complete that date, but the fact that he asks shows his effort and desires. As these efforts prove to be fruitless, it unhinges Bickle to the point that he turns all of his energy towards negative thoughts and violent devices. Paul Schrader’s screenplay never lays out Bickle’s exact plans, though Scorsese’s visual storytelling paired with Bernard Herrmann’s unnerving score (the last he would compose before his death) allow the audience to anticipate his actions. 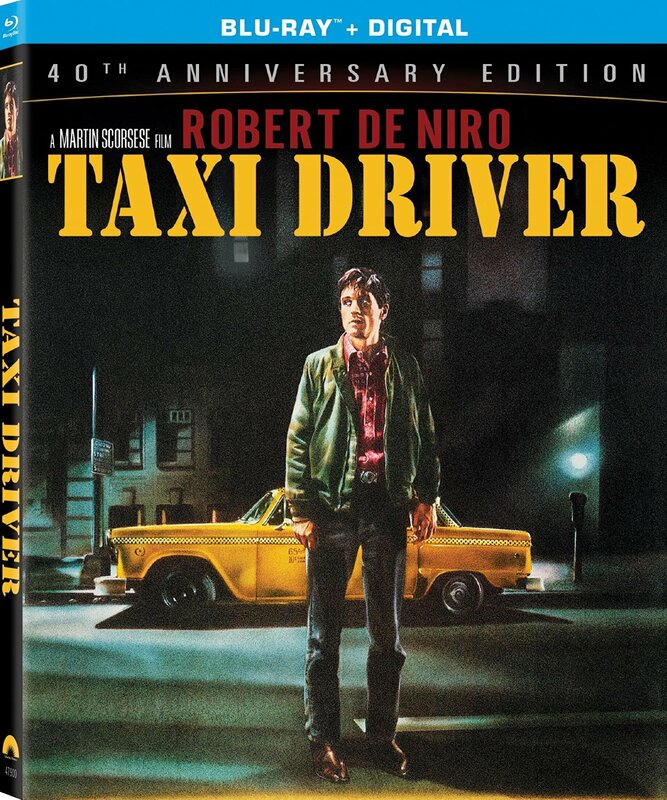 At the same time that he begins to build himself up to be some kind of warrior for the streets of New York, Bickle begins to focus on a teenage prostitute (12-year-old Jodie Foster) and her sleazy pimp (Harvey Keitel), who happen to enter his cab one night. The story is actually rather simple, allowing for the focus of Taxi Driver to remain on the filmmaking and the acting. Appreciation for this film only increases with time, and the 40th Anniversary is as good of a time as any to celebrate this modern classic. The 2-disc Blu-ray Anniversary release is packed with special features, new and old. The highlight of the new is a 40-minute reunion Q&A held at the 2016 Tribeca Film Festival, which includes Scorsese, De Niro, Foster and others. A majority of the special features are included on the first disc with the film, such as the many different commentary tracks. There is a 1986 commentary track recorded by Scorsese and Schrader for The Criterion Collection, as well as additional commentaries with Schrader and Robert Kolker. The rest of the extras on the first disc are made up of an assortment of featurettes, covering various aspects of the narrative and production process. There is even a featurette showing the locations from the film in New York. The second disc has a making-of documentary and a storyboard-to-film comparison with an introduction by Scorsese. There is also an animated photo gallery.